What goes on in Tansley? "Tansley Hotwire — the electronic heart of the village!" "Tansley Hotwire enhances the community spirit and brings people together." Tansley Hotwire was launched in July 2009. Its editor is Jane Flanagan. The service has more than 350 subscribers. 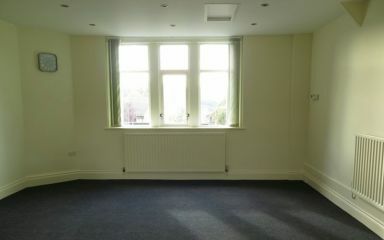 The Upper Room of Tansley Village Hall is now open for hiring after extensive renovation and modernisation. This superb room with extensive views of Riber Castle and Masson Hill is finished in the same colours as the ground floor rooms. It is fully carpeted, has a new mini-kitchen and its own toilet. The Upper Room's roof and windows have been replaced, walls have been dry-lined with insulated plasterboard, a flush ceiling with 18 LED downlights and loft insulation has been installed and new electrical switches have been fitted. A radiator has been added under the rear window to compensate for the removed gas fire, and new skirting and window sills have been fitted. In addition, the floor was made flat and more level with a plywood covering, and the room was repainted to match the ground floor's much-admired colour scheme. The final stages of this renovation included the installation of a new mini-kitchen, the fitting of vertical blinds on both windows and of carpet tiles on the floor. Copyright 2009-2014 © Tansley Village Hall Committee. All rights reserved.